The Board of Trustees of your Health and Welfare Fund provides you with a generous and valuable package of benefits. Your health and well-being are important to us, and that's why we designed the Fund's health and welfare benefits to supplement your City of Boston medical plan coverage, giving you outstanding health benefits. The benefits provided by the Boston Teachers Union Health and Welfare Fund are funded by contributions from The Boston School Department. There is also a separate annual maximum of $1,500 per person for covered implant procedures only. To your benefit, implant-related procedures (abutments and crown) will be applied toward the overall annual maximum amount. You no longer need to select a plan. The administration of the dental plans offered by the Fund will be consolidated with Delta Dental of Massachusetts. When you receive care, you can select a dentist from the three existing networks: Delta Dental Premier, Delta Dental PPO, or the Harvard Faculty Group Practice. There will no longer be an open enrollment each year; previously, you had to elect either Delta Dental PPO Plus Premier (the “Standard Plan”) or the Harvard Faculty Group Practice Plan (“the Harvard Plan”) as your dental plan for each year beginning September 1st. Delta Dental PPO Plus Premier is comprised of the Delta Dental PPO and Delta Dental Premier networks. Approximately 96% of Massachusetts’ dentists participate in the Delta Dental Premier network. Fewer dentists (about 20% of Massachusetts’ dentists) participate in the Delta Dental PPO network, but, for patients, the out-of-pocket payment is lower because those dentists reduce their normal fees by 20-30% for Delta Dental PPO members. The Fund payment is the same for each Delta Dental network, but the dentist’s charges are different. You pay the difference between the Fund payment and the dentist’s negotiated fee. The current Schedule of Covered Dental Procedures if you receive treatment from a Delta Dental PPO Plus Premier dentist is available by clicking here. The Schedule is also available at the Fund Office. When you need dental care and if you need to know if your dentist is part of the Delta Dental PPO network or Delta Dental Premier network, you can: (1) call your dentist and ask, (2) call Delta Dental’s Customer Service Department at (800) 872-0500, or (3) visit Delta’s website at www.deltadentalma.com. You can receive care at the Harvard Dental Center’s Longwood Avenue Facility in Boston. There is access to general dentists, specialists and dental hygienists and their comprehensive services at a single location. The dentists and specialists are from the faculty of the Harvard School of Dental Medicine. They provide general dentistry and specialty care; they also teach and conduct research. The Schedule of Covered Dental Procedures if you receive treatment from a Harvard Dental Center dentist is available by clicking here. The Schedule is also available at the Fund Office. You pay the copayment that is listed on the Schedule. When you need dental care, you can call the Harvard Faculty Group Practice at (617) 432-1434 and indicate you are calling to make an appointment for dental care by Harvard Faculty. When you speak to the person making appointments, identify yourself as covered by the Boston Teachers Union Health and Welfare Fund’s special program with the Harvard Faculty Group Practice. If you receive dental care from a dentist that does not participate in either Delta Dental PPO Plus Premier or the Fund’s Harvard Dental Center plan, the Fund’s payment will be less than the amount that would have been paid had you received treatment from a participating dentist. For all claims with dates of service on and after February 1, 2015, if your dentist does not have an agreement with Delta Dental or the Harvard Dental Center (a non-participating dentist), ask the dentist to file a claim with Delta Dental. 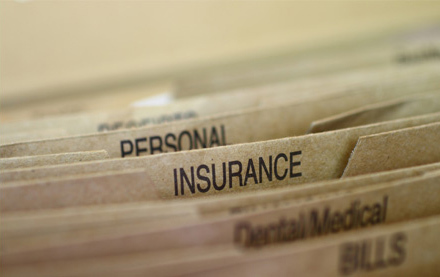 If you prefer to file the claim, you must submit a completed claim form along with the original itemized bill and mail to Delta Dental of Massachusetts, P.O. Box 249, Thiensville, WI 53092. Claim forms are available on www.deltadentalma.com, or by calling the appropriate number: Delta Dental Customer Service department: Metropolitan Boston, (617) 886-1234; Massachusetts (toll free), 1-800-872-0500 and at Fund Office, (617) 288-0500. The eye care benefits provided by your Health and Welfare Fund are available exclusively at our own, private Eye Care Center. The Eye Care Center is located within the Boston Teachers Union Building, off of Day Boulevard in Dorchester. We are located a short walk from the MBTA Red-Line JFK / UMASS station, and we have ample free parking at the BTU building. Your eye care benefit includes a comprehensive eye examination and one pair of prescription eyeglasses every year. When appropriate, additional non- emergency ophthalmologic medical / surgical evaluations can be scheduled at the Eye Care Center. This benefit is provided by your Health & Welfare Fund at no cost to yourself. Your spouse and dependant children are eligible to receive this benefit as well, at no cost. The eye examination is a comprehensive examination covering all aspects of the visual system and the health of the eyes. The examination will include checks for cataracts, glaucoma, macula degeneration, retinal problems, external eye diseases, injuries and infections as well as tests of color vision, depth perception and peripheral vision. This testing protocol averages 30 minutes per patient, so you should arrive on time for your appointment and allot enough time at the Eye Care Center for your examination and subsequent selection of eyeglasses, should they be necessary. We are unable to provide any ‘baby-sitting’ services at the Eye Care Center, so you should make your own arrangements for the care of your children, at home, for the time you are at the Eye Care Center. 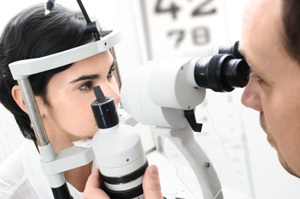 Should you require further evaluation of a specific problem or a surgical consultation with our ophthalmologist, a return visit for that purpose can be scheduled for you at the Eye Care Center. Should you require prescription eyeglasses, one pair of prescription eyeglasses per year will be provided to you at the Eye Care Center at no charge. Additional lens enhancements that are currently, and may become available in the future with the advances in technology of lens manufacturing, can be purchased before your eyeglasses are ordered. Currently these items include Transitions photochromatic lenses, Crizal anti-reflection coating, polarized sun lenses and high index, polycarbonate and aspheric extra-thin lenses. All eyeglasses are warranted for damage or breakage by the Eye Care Center and will either be repaired or replaced, at the discretion of the Eye Care Center staff. This repair/replace warranty will apply, repeatedly if needed, until the patient is eligible for new eyeglasses again. Lost or stolen eyeglasses and non-prescription sunglasses are not covered by this warranty and cannot be replaced under this benefit. However replacement eyeglasses may be purchased at the Eye Care Center. Currently there is no limit to the number of additional pairs of eyeglasses, spares or replacements, a member or eligible dependant may purchase at the Eye Care Center. Your eye care benefit includes a comprehensive eye examination and one pair of prescription eyeglasses every year. Additional office visits, for emergency care and follow-up visits may also be scheduled at the discretion of the Eye Care Center staff in consultation with one of the Eye Care Center doctors. Your eye care benefit also includes partial coverage for the fitting and provision of medically necessary contact lenses at a doctor of your choosing, outside of the Eye Care Center. Medically necessary contact lenses are used to compensate for defects or deformities of the eyes that prevent the correction of the vision by eyeglasses. This does not include situations where contact lenses are for cosmetic or occupation needs that can be taken care of by eyeglasses. This medical need has to be certified by one of the doctors at the Eye Care Center during the patient’s examination. Once the medical necessity has been certified, this benefit allows for the reimbursement to the patient of up to $100.00 toward their cost for the fitting and supply of contact lenses by the vendor of the patient’s choice. This benefit is renewable on the same cycle as the rest of the eye care benefit. Contact lenses for non-medical vision correction use are not available through the benefit or for purchase at the Eye Care Center. However, all of the professional services from initial contact lens fitting, to lens handling and care instructions, all follow-up evaluations and the provision of a written prescription for the purchase of contact lenses, can be provided in conjunction with the eye examination benefit. At this time, this benefit is available for members and partners / spouses only, and is not transferable to another family member. All of the above benefits are available to all members and their covered dependents. There are also, a number of benefits, described below, that at the present time are available only to the members. Non-prescription sunglasses selected by the Eye Care Center staff may be provided to members in lieu of prescription eyeglasses for those members who do not need or want prescription eyeglasses. Non-prescription sunglasses are NOT covered under the warranty as are prescription eyeglasses. This one pair of non-prescription sunglasses will be the entire eyeglass benefit for a full 12 month cycle. A one-time-only-benefit exists for the provision of a single pair of replacement eyeglasses for replacement of the most recent set of eyeglasses provided by the Eye Care Center, that have been lost or stolen at school or during a school authorized activity or function. In order to apply for this benefit, a member will need to provide written documentation, on official school letterhead, signed by the Headmaster or immediate supervisor, stating the circumstances and situation in which the eyewear disappeared. Due to the large number of patients for whom we provided services, 7000 covered members plus their families, who are all eligible for services at the Eye Care Center, we are unable to see patients for services without appointments. This applies for all eyeglass services as well as examination services. Individuals who come to the Eye Care Center for services without appointments may have to be turned away and scheduled an appointment to return for services. During the periods when school is in session, the Eye Care Center is open sixty (60) hours a week, including evenings and Saturdays. During school vacations, the schedule is modified to a day-time, work-week schedule to accommodate the members’ changed availability. If you're hospitalized for more than a week, the Plan will pay you a benefit of $150 per week for up to 51 consecutive weeks of hospitalization to supplement your income. Please refer to the Benefit Plan Information Booklet for more details. Please complete the Claim Form in its entirety but only complete the block at the top of the Hospital Verification Form. Return both forms to us. 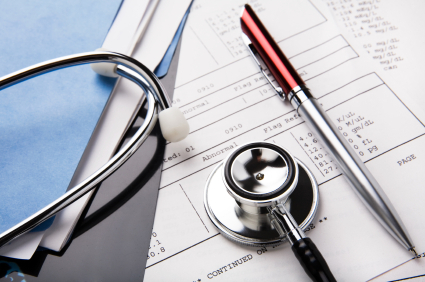 We’ll take care of contacting the hospital involved in each case and we also verify your “Covered Teacher" status. Obviously, the sooner you mail us back the forms, the sooner we can proceed with our part. Please do not divert from this procedure as it can only delay your benefit. Also, the Internal Revenue Service has determined that this type of benefit represents taxable income. You should then, report the income on your income tax form for the year in which the benefit is received. The prescription issued for the hearing aid by the Audiology Department of an approved hospital facility is taken to a supplier recommended by the Hospital’s Audiology Department. A HEARING AID BENEFIT WILL NOT BE PAID FOR HEARING AIDS PURCHASED THROUGH A SUPPLIER WHO IS NOT RECOMMENDED BY AN APPROVED HOSPITAL FACILITY, NOR FOR A HEARING AID OF THE SAME PRESCRIPTION AS ONE PREVIOUSLY PAID FOR BY THE FUND FOR THE SAME PATIENT AND THE SAME EAR. Note: This benefit does not include payment for any portion of the charge made by the hospital for the Audiology Test. This benefit does not pay for repairs nor does it pay for replacement of a lost or damaged hearing aid, so recipients may want to insure their hearing aid against loss or damage. If you have paid the funeral expenses of a Covered Teacher who has recently passed away, you may be eligible to make application for the benefit. In the event that funeral expenses are incurred as a result of the death of a person who is a Covered Teacher at the time of his/her death, the Fund will pay a funeral expense benefit equal to the amount of such expense, but not exceeding two-thousand dollars ($2,000.00). The Fund will make payment of this funeral expense benefit to the estate of the Covered Teacher or to a person equitably entitled thereto, in the opinion of the Trustees, upon satisfactory proof of payment of such expense. If you wish to apply for the benefit, please complete the application and return it with a copy of the death certificate and receipt of bills. Please feel free to call if you have any questions. The Plan will pay for one MedicAlert ID if you or a family member has a medical condition that needs to be identified in an emergency situation. Do not send the form to MedicAlert. However, before you complete and return your form to us for processing, you should be aware that although the Boston Teachers Union Health and Welfare Fund will pay to the MedicAlert Foundation International, their charge for your MedicAlert membership, and will forward your MedicAlert Enrollment Form, or otherwise, to the MedicAlert Foundation, your compliance with the conditions and instructions on the MedicAlert Enrollment Form and the service provided by the Foundation are not responsibilities of the Fund. Please review your completed form for accuracy before sending it to us. 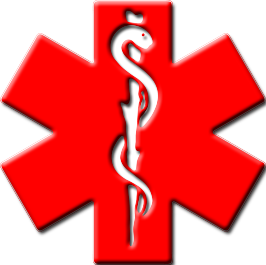 Your benefit includes the basic MedicAlert ID. If you select a product other than the basic stainless steel type, you must enclose a check payable to the B.T.U. Paraprofessional Health and Welfare Fund for the difference in cost. Please sign and date the displayed letter and return it with your completed form. To supplement the mental health coverage your City of Boston medical plan provides, the Health and Welfare Fund offers Educational and Training Seminars. Speakers cover topics such as stress management and assertiveness training. Get your exercise by playing for the Fund's Softball League or participating in the Fun Run.